For as long as diamonds have been mined and traded, a murky issue has always existed below their glittering surfaces. The mining of diamonds and other gems is difficult and arduous labor, requiring a significant combination of skills, knowledge, and labor. While a lot is not known about the early methods and devices for the mining of precious gems, the practices of the last century are well documented and discussed. With the rise of diamond cartels such as De Beers, the interest in how diamond companies obtained and distributed their wares grew as well. Since the late nineteenth century marked the jump in increased circulation of information, it suddenly became widely known how diamond mining companies treated their miners and employees. The brutal treatment and slave labor instigated a public outcry that was heard around the world and finally resulted in the establishment of the Kimberley Process Certification Scheme. 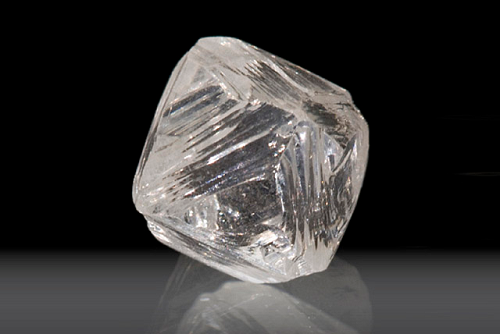 Diamonds do not come from the ground in their shiny, recognizable form. First, they are discovered in what is called the rough state, and only then are they passed on to diamond cutter and polishers who will bring out the diamond’s beauty. Rough diamonds can be found either above ground or below ground, depending on the conditions of the earth in which they are being dug and for how long the mine has been operational. A rule of thumb is that the older a mine, the farther down it will have to be dug in order to continue discovering diamonds. Eventually, the expense of digging that far down would no longer justify the diamonds being discovered and the mine will be shut down. 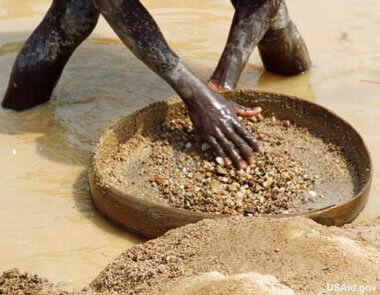 Blood diamonds are the diamonds that are obtained through violent, abusive conditions of the miners and workers. Worked for inhumanly long hours under impossible work conditions, in all forms of weather, of people of all ages, the miners are expected to deliver a certain amount of results or else endure cruel torture, death, or punishment against loved ones. This enslavement to the mines is utterly abhorrent and it is hard to imagine that greedy corporations can justify profits over treating their fellow human beings in this way. Respect for their fellow human goes out the window and instead the hunger for money takes its place. For the most part, diamond mines are no longer run by these people and not in this manner. That being said, there are probably mines that operate in this way since this form of doing business is still present in third world countries. 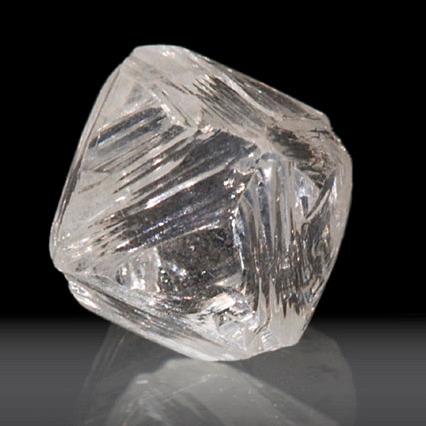 What is worse is that diamonds that are discovered in these mines are not marked in any way and if a big bag of rough diamonds is sold to a diamond polisher, these rough diamonds can easily get mixed in and end up circulating throughout the world, whether or not the final buyer realizes it. That is why the Kimberley Process Certification Scheme was born. The Kimberley Process Certification Scheme is the United Nation’s resolution to regulate the mining and circulation of rough diamonds. 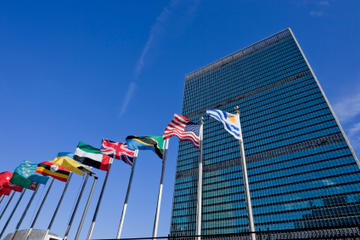 It was adopted by the UN in 2000 but put into practice in 2003. The KPCS has 54 participants, representing 81 countries, with the European Union and its Member States counting as a single participant. KPCS members account for approximately 99.8% of the global production of rough diamonds at this point in time. However, the world’s response to blood diamonds has extended far beyond this. Major mining companies are known for their charitable work in the mine’s host countries, established schools, hospitals, universities, and other institutions to aid these countries’ infrastructure. Food is donated to feed starving bellies, schools are built to educate children and keep them out of the mines, and jobs are created to sustain the economy. Even famed diamond miners De Beers moved their offices from London to Botswana this past year in an unprecedented move as a show of faith in Botswana. Adhering to the KPCS is no small matter for diamond companies. Since blood diamonds can so easily enter the total pool of diamonds that are circulated around the world, it is the responsibility of those that would buy them to make sure that they are not. In today’s day and age in the wake of the passing of the KPCS, it is actually very difficult to obtain blood diamonds as the practice of enslaving miners has since been almost entirely eradicated. However, diamond companies are still fully responsible to thoroughly investigate from where and from whom the diamonds are being obtained before they buy them. Diamond companies that publicize that they adhere to the Kimberley Process are ones that take pride in the fact that they value the lives of their fellow human beings and make a special effort when buying the diamonds for their products to ensure that they are completely conflict free. As a consumer, it is the consumer’s responsibility to make sure that they are only giving business to companies that sell conflict free diamonds. 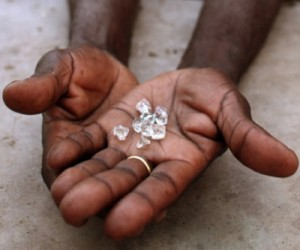 With both sides of the spectrum making an effort, blood diamonds will be eradicated completely and only ethical diamonds will circulate in the market.